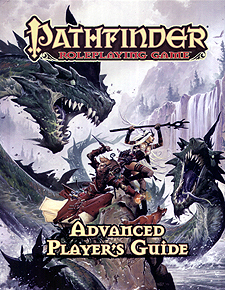 Explore new and uncharted depths of roleplaying with the Pathfinder RPG Advanced Player's Guide! Empower your existing characters with expanded rules for all 11 Pathfinder Roleplaying Game core classes and seven core races, or build a new one from the ground up with one of six brand-new 20-level base classes. Whether you're designing your own monstrous helpers as an enigmatic summoner, brewing up trouble with a grimy urban alchemist, or simply teaching an old rogue a new trick, this book has everything you need to make your heroes more heroic.